3rd Battalion attached 2nd Battalion the Yorkshire Regiment. Killed 15 June 1915. Commemorated on Panel 12, LE TOURET MEMORIAL. Malcolm Graham's photo, and the accompanying biographical notes, were kindly supplied by Paul Stevens, Repton School's Librarian and Archivist. The history of Repton School, and further details of the school, can be found on www.repton.org.uk/history-of-repton. 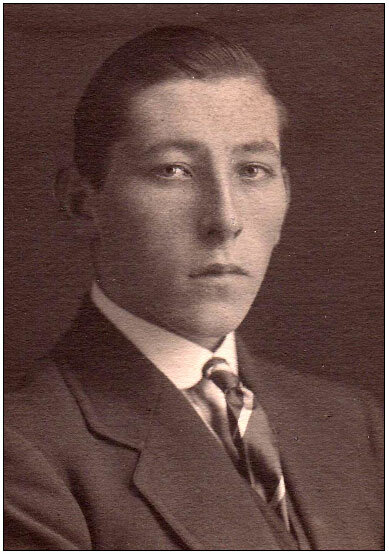 "Born November 22nd 1894, the son of H.S. Graham, Park House Pool, Wharfedale. ?Hall 1909 – 1913 ?Pembroke College, Cambridge ?Second Lieutenant, 3rd Yorkshire Regiment, Special Reserve, 8/14. Lieutenant, 2/15. France, attached 2nd Battalion, 3/15. ?Killed in Action at Givenchy 15/06/15 ?LE TOURET MEMORIAL. He went up to Pembroke College, Cambridge, and rowed for his College. ?The Reptonian, July 1915 "
Malcolm Graham left Repton School in 1909.